Move-in day on campus held special meaning this year for Nebraska’s College of Business. Construction of the $84 million, 240,000-square-foot Howard L. Hawks Hall wrapped up in August and doors opened for the fall semester. 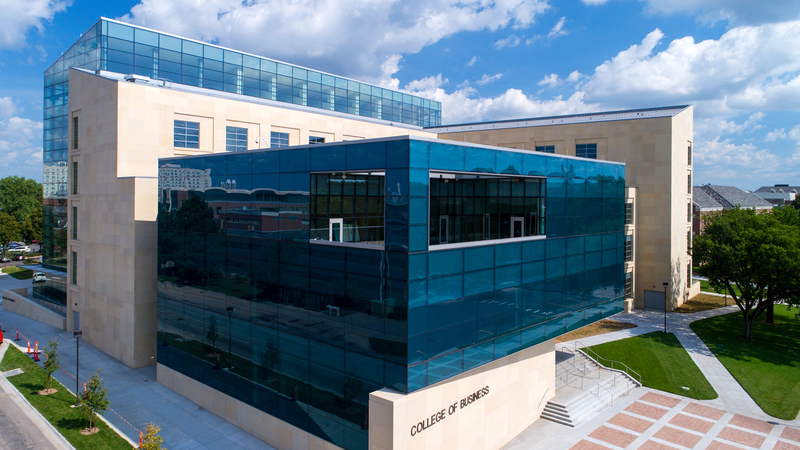 Located in the heart of campus at 14th and Vine streets, the state-of-the-art facility offers high-tech classrooms, a 400-seat auditorium and space for experiential learning and research. It is the university’s largest academic building project in recent history and was funded exclusively through private donations and alumni support. Hawks Hall is named for the University of Nebraska regent who was a lead project donor. Donde Plowman, executive vice chancellor and chief academic officer, provided significant project leadership while serving as the college’s dean. The growing college has 4,200 students, 117 faculty and 65 staff members, with an additional 1,500 students taking courses to complete business minors.